Once school finishes for the holidays it can be tricky to know what to do with the kids! You may be a working parent who needs childcare or you just need to keep the children entertained during the holidays. 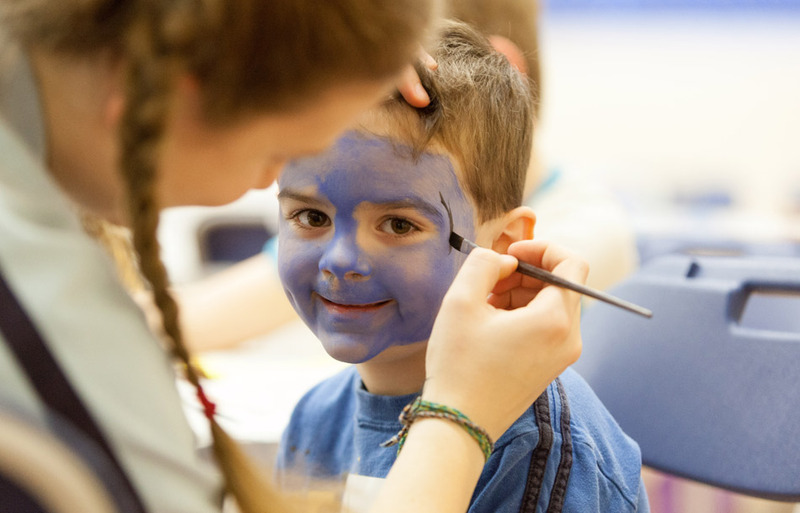 Children from ages five to twelve can come along to our Ofsted registered Kids Club, a fun and friendly holiday club offering kids a wide range of activities to enjoy. We run our Kids Club during half terms, Easter holidays and Summer holidays (excluding Bank Holidays), and often find children make firm friends during the sessions, wanting to return to future sessions with their new friends. You have complete peace of mind with our Kids Club, as our trained and fully DBS checked Kids Club representatives are on hand to make sure all the children can get involved and enjoy the sessions. The team help everyone to join with group activities and to develop fundamental skills through play and a diverse range of activities. We’ve carefully designed all our Kids Club activities to support the learning of something new whilst in a safe and nurturing environment. It’s important the children can move easily during the holiday club so we recommend comfortable clothing and suitable footwear, for example leggings or shorts, t-shirt, jumper, socks, and trainers. We know it often rains in the UK but we also suggest they bring sun cream, sun hat, and a water bottle. They will need a packed lunch if they do a morning or all day session. If they do an afternoon or all day session then they need to bring their swimming kit to use at swim time. Children can get things muddled so we do ask everything is labelled with their name, including their water bottle. Full Day – £17.95 Full Day – £28.05 Childcare vouchers accepted.